Robin Trower demonstrates vibrato techniques, bending styles, special blues licks, Memphis-style lead, how to work with a bass player, and more! 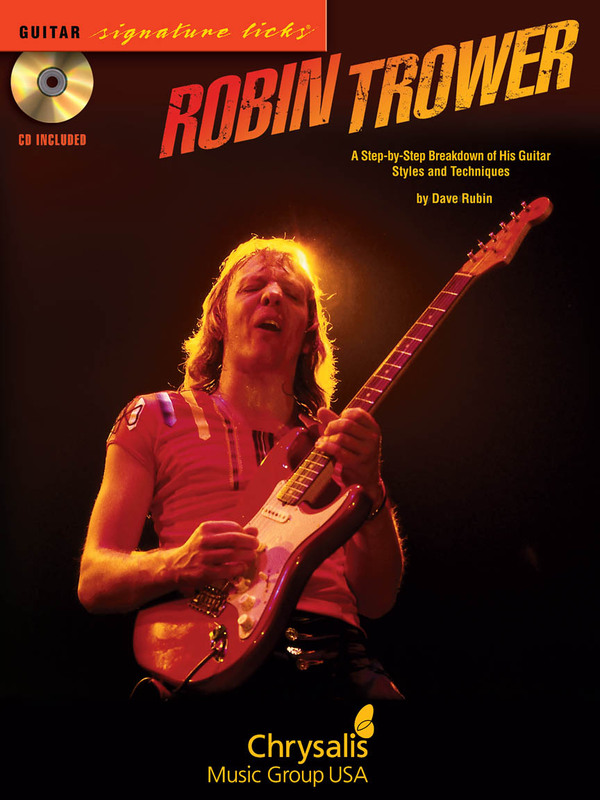 Includes special concert footage of Robin and his band. Also includes a new introduction by Arlen Roth. All 8 songs from the 1974 recording by this bluesy psychedelic British guitarist. Includes: About to Begin - Bridge of Sighs - Day of the Eagle - The Fool and Me - In This Place - Lady Love - Little Bit of Sympathy - Too Rolling Stoned. 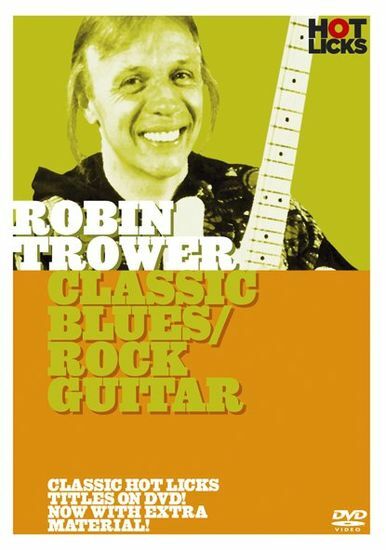 The first Robin Trower songbook ever! really go through the Jimi Hendrix sort of thing,"
in the keyboard-heavy arrangements of Procol Harum. terms of writing and coming up with ideas," he says. but 1think I took it a lot further." within the context of solid, memorable songs. with some really modern sounds." and the trio had been playing them in their live S'et. one verse, so Jimmy had to sing the same verse twice. that first time, so we knew we had something there." a bit naughty to do that, but .. ."
at that time," he says. "I used to play it all the time." quickly. It's an anti-war song, obviously, isn't it?" album's songs at his shows. strength of the writing, more than any other thing. albums. I just think the writing was very strong." TROWER ROBIN, A Step-by-Step Breakdown of His Guitar Styles and Techniques. CD TAB.